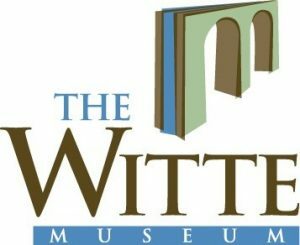 Explore Texas STEM at the Witte! Join STEM Education Manager Sarah Rowley and Curator of Texas Wild Helen Holdsworth as they share the exciting science, technology, engineering and math (STEM) programs offered at the Witte Museum. Find out how a visit to the Witte is a transformative STEM experience! Register here. Each year it appears that time passes by quicker, but maybe it’s my old age. We are now heading down the stretch towards a new year, and, thus, we will soon start planning our holiday party. If any members have any suggestions or would like to assist with coordinating the event, please don’t hesitate to call me or any of the Board members. Assistance is always needed and much appreciated. Final invitation to serve! Here’s your chance to become one of the Board members and help guide AWMA activities. I am happy to announce that we have candidates for all positions, but everyone is running unopposed so it would be good if we could foster some friendly competition. Nonetheless, there are other committees such as Social Chair where people can be appointed to without having to run for office. If you want to be part of the Board, but don’t want to run for election perhaps this is a better alternative for you. We could also establish a “finer things club”. Please submit your names to me or any of the Board members along with the position you are interested in. We will also have a form at the AWMA luncheon for you to submit your name. We would also like to ask for member input on the luncheon venue. Our current contract with the Petroleum Club expires at the end of December so now would be the time to start looking for a new venue if we so desire. Comments have been made about the luncheon prices, but we are actually losing money almost every month. Again, you do not have to be one of the Board officers to be able to assist in procuring a new venue that can accommodate our monthly luncheons.